Ricky A. asks: How do dry cleaners clean the clothes? What happens to clothes after being dropped off at the dry cleaners is a mystery to most. We know that our clothes come back a whole lot cleaner than when we dropped them off, but how? And who first got the bright idea to clean clothing without water? As for more modern methods, the biggest revolution in dry cleaning came around in the early 19th century. Traditionally, Jean Baptiste Jolly of France is generally named the father of modern dry cleaning. The story goes that in 1825, a careless maid knocked over a lamp and spilled turpentine on a dirty tablecloth. Jolly noticed that once the turpentine dried, the stains that had marred the fabric were gone. He conducted an experiment where he bathed the entire tablecloth in a bathtub filled with turpentine and found that it came clean once it dried. Whether a maid and an accident really had anything to do with it or not, Jolly used this method when he opened the often claimed first modern dry cleaning shop, “Teinturerier Jolly Belin”, in Paris. So while working as a clothier, he, like so many others in his profession, was familiar with the age old customer complaint that they could not clean their more delicate clothes once they’d become stained because the fabric wouldn’t hold up to traditional washing and scrubbing. Jennings, thus, began experimenting with different cleaning solutions and processes before discovering the process he named “dry scouring.” His method was a hit and not only made him extremely wealthy, but allowed him to buy his wife and children out of slavery, as well as fund numerous abolitionist efforts. As for the exact method he used, this has been lost to history as his patent (U.S. Patent 3306x) was destroyed in an 1836 fire. What we do know is that after Jennings, other dry cleaners during the 19th century used things like turpentine, benzene, kerosene, gasoline, and petrol as solvents in the process of dry cleaning clothes. These solvents made dry cleaning a dangerous business. Turpentine caused clothes to smell even after being cleaned, and benzene could be toxic to dry cleaners or customers if left on the clothes. But all of these solvents posed the bigger problem of being highly flammable. The danger of clothes and even the building catching fire was so great that most cities refused to allow dry cleaning to occur in the business districts. In the United Kingdom, for example, dry cleaners had smaller satellite stores in the city where they took in customers’ clothes and then those clothes were transported to a “factory” outside of the city limits where the dry cleaning took place. The major risk of clothes and buildings catching on fire because of the flammable solvents led to dry cleaners searching for a safer alternative. Chlorinated solvents gained popularity in the early 20th century, quickly leaving the flammable solvents in the dust. They removed stains just as well as petroleum-based cleaners without the risk of causing the clothes or factories to catch fire. That also meant dry cleaners could move their cleaning facilities back into cities and eliminated the need to transport clothes back and forth between two locations. A chlorine-based solvent with the chemical name tetrachloroethylene, or sometimes called perchloroethylene, became the go-to solvent for dry cleaners in the 1930s. Originally discovered in 1821 by Michael Faraday, “perc” could not only be used in relatively compact dry cleaning machines, but also did a better job of cleaning than any of the other solvents of the day; it’s still the chemical of choice for most dry cleaners today. 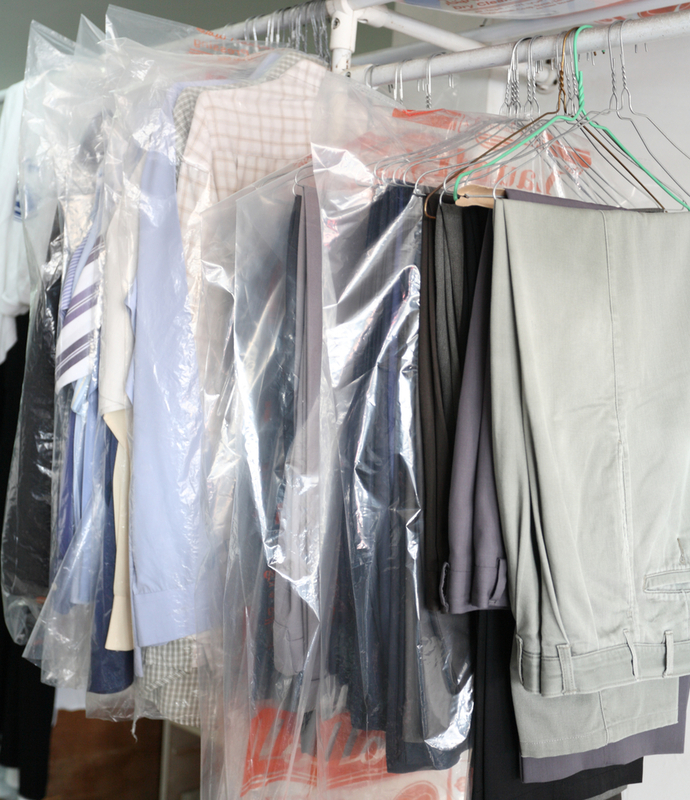 While perc is considered much safer than most solvents used by dry cleaners in the past, the Environmental Protection Agency (EPA) in the United States is working to phase the solvent out of the industry. The EPA claims that while wearing clothes treated with perc does not appear to be dangerous, perc can be dangerous if accidentally released into the environment as it’s toxic to plants and animals. Additionally, the EPA also notes that sustained exposure to perc, such as by workers in the industry, can cause health issues with the nervous system, including potentially drastically increased chances of developing Parkinson’s Disease. There are also studies done by the EPA that indicate perc may be a carcinogen. The International Agency for Research on Cancer also classifies the chemical as a “Group 2A carcinogen,” meaning in their opinion, it’s probably carcinogenic. So how exactly is this chemical used to dry clean clothes? 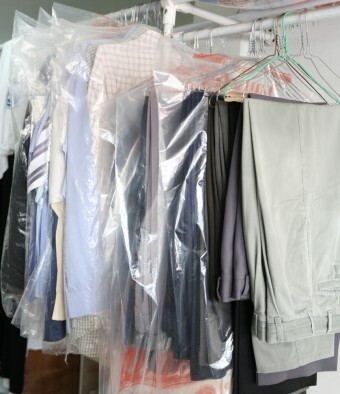 The process of dry cleaning fabric can vary between dry cleaning companies; however, the general method is as so: before placing the clothing item in the machines, workers pre-treat stains by hand, as well as remove any materials that aren’t suitable for dry cleaning (for instance buttons made of materials that may dissolve in perc are removed). The machine works in a similar fashion to normal, in-home washing machines. It agitates the garments and adds in the solvents as it goes, cycling the solution through the machine and a filter as the clothing is agitated. Temperature is also typically controlled at around 86 degrees Fahrenheit. Next, the garments are either dried in the same machine or workers move them to a separate machine. During the drying cycle, the temperature is raised to about 140 degrees Fahrenheit, which helps the chemicals evaporate off the clothes faster, while still being low enough not to damage the clothing. In the end, approximately 99.9% of the chemicals used are removed from the dry cleaned item and recycled for use again in cleaning. Once the clothes are dry, workers press the clothes, potentially stitch back on any items that had to be taken off, and put the clothing into plastic bags for customer pick-up. Who Invented the Neck Tie? After the eruption of Mount Vesuvius and the covering of Pompeii in ash, Romans dug tunnels to explore (and loot) the city, long before archaeologists excavated the site. Pliny the Elder, the famed author, naturalist, philosopher, and commander, died trying to rescue people stranded on the shores after the eruption of Mt. Vesuvius. While attempting to sail his ship near the shore, burning cinders fell on the ship. Rather than turn around, as his helmsman suggested, Pliny famously stated “Fortune favors the brave! Steer to where Pomponianus is.” He landed safely and was able to rescue his friends and others on the shore. However, he never left. Before they were able to set out again (they needed the winds to shift before they could safely leave), he died and ended up being left behind. It is thought he died of some sort of asthmatic attack or by some cardiovascular event, possibly brought on by the heavy fumes and heat from the volcano. His body was retrieved three days later buried under pumice, but otherwise with no apparent external injuries. He was around 56 years old. At temperatures over about 600 degrees Fahrenheit perc oxidizes into the extremely poisonous gas phosgene, the latter chemical being popularly used in chemical weapons during WWI. The first widely used chlorine-based solvent was tetrachloromethane, or “Tetra” as it was often called, worked much better than petrol. However, the combination of being both highly toxic and highly corrosive on the dry cleaning machines led to it being phased out by the end of the 1950s. TNX FOR THE EXCELLENT INFORMATION, AND A WELL WRITTEN PIECE. Regarding the part about Jean Baptiste Jolly, other sources have the date as 1855, not 1825, and the chemical in the lamp being kerosene, which makes more sense than turpentine. Modern dry cleaning machines clean and dry the garments in the same machine. This cuts down on worker exposure and also greatly reduces the amount of solvent consumed. The transfer to a different machine for drying is a practice that is more or less unheard of today. Those over age 55 or so may remember the smell of a dry cleaners since in those days transfer machines were common. Now if you go to a cleaners you are unlikely to smell solvent.